It is recommended that you visit the dentist at least once every six months. This is because regular visits help in the maintenance of healthy teeth and gums. For those who require additional care, the visits should be more frequent. When you visit the dentist, you’ll be taken through a thorough physical examination to identify any dental issues. During the checkup, the doctor will examine your gums, tongue, bite, eyes, face and jaw movements. The assessment identifies gum diseases, loose teeth, tooth decay, broken teeth and damaged fillings. They will also check if the dental appliances you have are in good condition. The exam is not limited to dental issues only; they also check for signs of oral cancer, vitamin deficiencies and diabetes. After examination, the dentist Richmond Hill will recommend the desired cause of action. If there is no damage, your teeth will be cleaned and you can head home until the next visit. 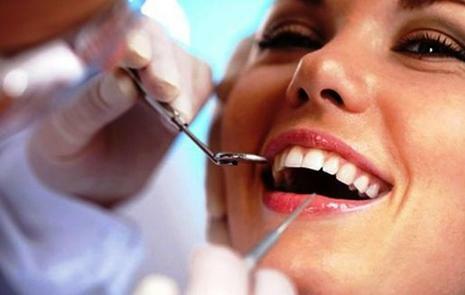 Teeth cleaning removes plague and helps in flossing and teeth polishing. The dentist will check the cleanliness of the teeth and review the brushing and flossing techniques once again. That said, many people fail to show up; others book appointments with dentists only to cancel them later. Even with a busy schedule, it is imperative that you keep your dental appointments. There are numerous examinations and actions taken to ensure that your dental health is optimal. Dentists are even willing to offer services on weekends and during late hours to ensure that those with busy schedules keep their appointments. By keeping your dental appointment, dental issues can be identified early enough and addressed before they progress. This will save you a lot of money and help maintain your teeth in good condition for a very long time. Extensively damaged teeth sometimes require cosmetic procedures and these are not covered by insurance so they will add to your expenses. And even if there are fillings and crowns to repair damaged teeth, they can’t compare to your natural teeth. Always keep your appointments to ensure that teeth and gums are in good health.